The 2017 FOUNDERS DAY LUNCHEON will be held at 1:00 PM ET on Saturday, February 18, 2017, at the WILDERNESS CABIN, located at 1900 Capital Circle, NE (Also known as U.S. Hwy 319 South), Tallahassee, FL 32308. Take I-10 Exit 203, and look for U.S. Hwy 319 South, which is also Capital Circle NE. Once you get on U.S. Hwy 319 South (Capital Circle NE), travel about 2 miles and look for a large log cabin structure on the right, just after a McDonalds. 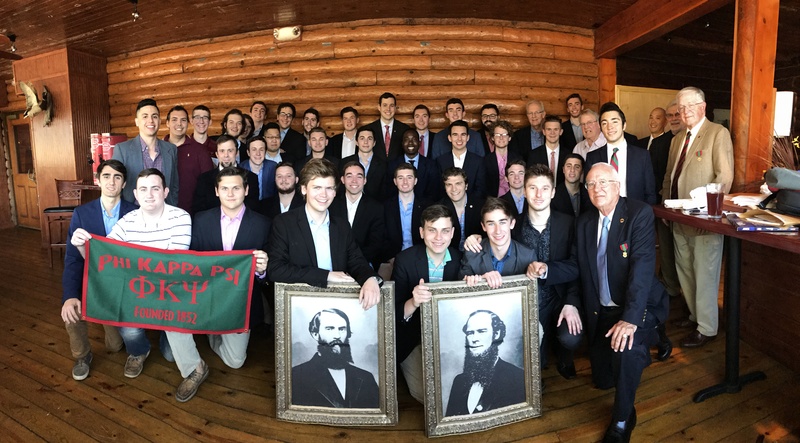 This Luncheon is being co-hosted by both the North Florida Alumni Association (NFAA) and the Florida Alpha Chapter at Florida State University, the only active Chapter in the state. All Phi Psi’s from all Chapters are welcome and encouraged to attend. We will have a short registration/social period prior to starting. The Luncheon will include opening ceremony, songs, toasts, self introduction of Alumni, recognition of Chapter Officers and NFAA Officers, presentation of Awards, report on Chapter philanthropy activity, and closing ceremony. After the Luncheon, there will be a brief business meeting of the NFAA, the first under our new Charter, for election of Officers and the Executive Committee. For those Alumni who are coming to Tallahassee for the weekend, you are also invited to attend the Florida Alpha Chapter Founders Day Evening Social/Dinner at the Chapter House. Please consult the Florida Alpha Chapter Announcement for location and time.